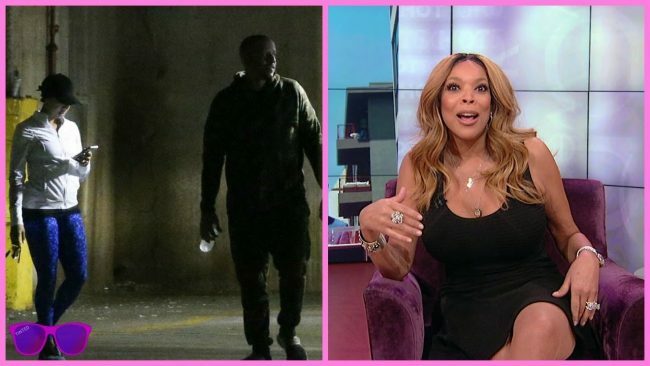 Fifty-four-year-old Wendy Williams’ husband 46-year-old Kevin Hunter was seen with his alleged mistress, 33-year-old Sharina Hudson, carrying groceries a few days before the news of their impending divorce was announced. On April 7, 2019, US weekly obtained photographs of Hunter carrying groceries into the New Jersey home of his mistress massage therapist Hudson. Hunter was wearing navy blue shorts and a puffy black vest. He carried on a brown paper bag filled what he had purchased. Hudson was with him and carried a plastic bag in on hand and one brown paper bag in the other. She wore dark blue sweatpants and a blue long-sleeved shirt. Covering the shirt was a neutral colored vest which was covered with fur. An eyewitness said the couple was seen at a Whole Foods store on April 7, and they appeared to be very comfortable and at ease. Hunter was observed driving a burgundy colored Rolls Royce with Hudson next to them. Both were wearing sunglasses trying to keep a low profile. Williams appeared on her show filmed on April 11 without wearing her wedding ring. She told her audience after returning from a hiatus after showing them her wedding ring that all marriages have their ups and downs. Williams warned do not believe all the rumors, and she still loved her husband. Williams held up her wedding ring and said do not believe anything until the wedding ring was off her hand, and it was not going anywhere in this lifetime. A source told Us magazine on April 11, Williams filed divorce paperwork from Hunter on April 10.